There is an emerging identity crystallizing on our planet. People are increasingly considering their personal impact in a global light. This is how GOOD is describing the identity of a new global citizen. They have identified 100 people who represent this idea. Our very own Nicolas Weidinger and the WikiSeat project were selected to show what is possible today. There 99 more awesome people doing amazing things, and you should totally check it out on their site. Here’s a repost of what the wonderful writers over at GOOD wrote about the project. Step-by-step process as GOOD experienced it. They built a stunning seat! Nicolas Weidinger wanted to make a chair. And as an industrial-design student, he tried to, but the chair fell apart. So he created the Catalyst, three brackets welded together at just the right angle to support a chair. All he had to do then was add three legs and a seat. This simple design became a part of an all-age curriculum across the country, a lesson not only in the basic concepts of design but also in problem-solving—an exercise in approaching learning itself. With the Catalyst, students can make a virtually unlimited number of different chairs out of a host of different materials they can find anywhere. 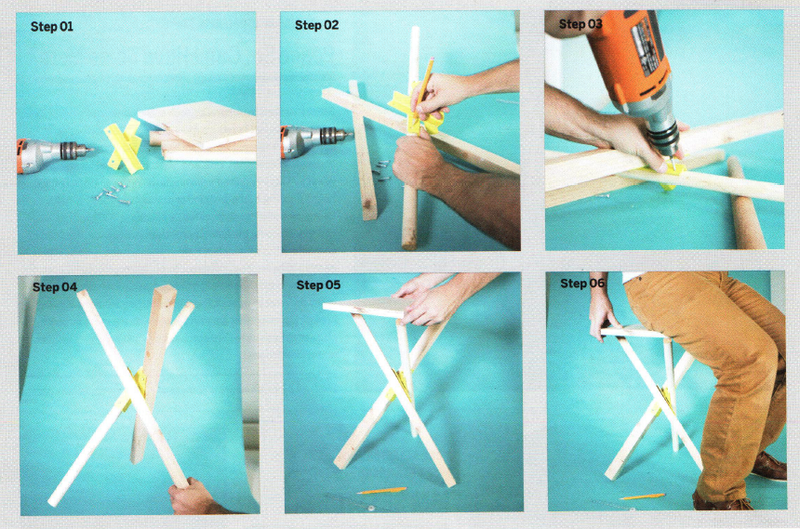 Those who might consider math or science to be something they just aren’t good at are taught that they just have to learn how to understand these new ideas: Think you can’t build a chair? Think again. Now called the WikiSeat, the chair has reached more than 20 classrooms and has been built by more than 1,000 students from around the world. Anyone can purchase the Catalyst from the WikiSeat website, but those with access to metal and welding tools can find Weidinger’s designs free on Instructables.com. Many thanks to the wonderful folks over at GOOD who are helping define this new global identity by writing about it, and jumping in for the experience!